... But we wanted to let you in on this latest news about Morocco’s previously untapped oil and gas potential as the next big investment opportunity that we are jumping on right now. 10 wells are about to be drilled offshore Morocco in 2014 alone – making it the fastest pace of drilling seen in the region since at least 2000. Morocco has been proclaimed the new Angola when it comes to potential top oil-producing African nations. In fact, Morocco is one of the most under-explored nations for oil so far – but that’s about to change, and the junior oil company we are writing about today is positioned front and centre to ride the wave. We’ve been following events in Morocco as they unfold. 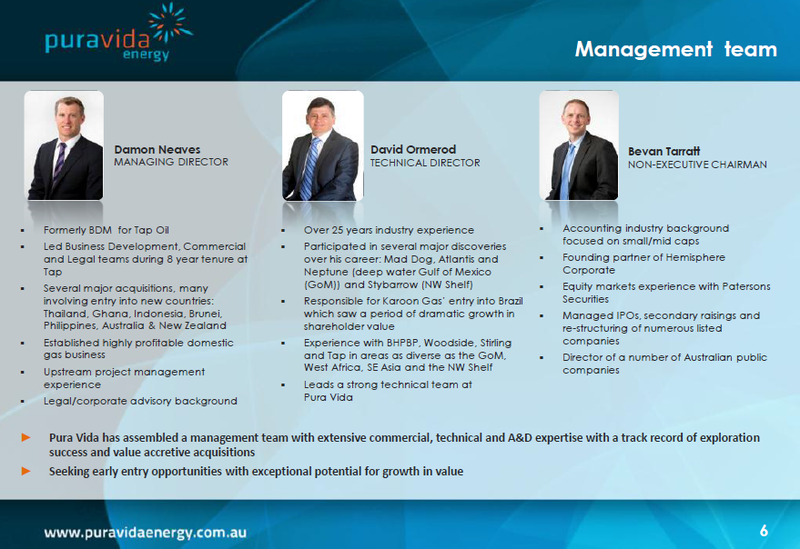 One junior oil company has been repeatedly coming onto our radar for all the right reasons – and we’ll show you why it’s literally got professional industry analysts jumping up and down in excitement and throwing around predictions of four thousand percent gains. This company has also acquired an impressive oil block offshore in Gabon (where a nearby discovery has been made just a few days ago), has recently successfully secured $12 million in funding in a very tough market AND has significantly come off recent stock price highs, presenting a buying opportunity that the team at The Next Oil Rush has been taking advantage of. 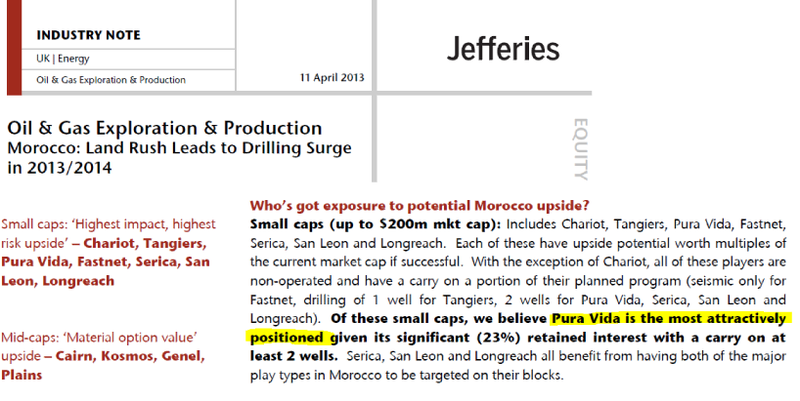 PVD was an early mover into the potentially rich offshore Moroccan fields, having secured the highly prospective Mazagan block offshore Morocco. PVD then announced what has been touted by industry as one the most lucrative farm out deals EVER signed in the region. Here’s the deal: US listed $19 billion Plains E&P (NYSE:PXP) had agreed to fund the ENTIRE COSTS for drilling not one, but TWO offshore exploration wells in the Mazagan field in return for 52% of the block. 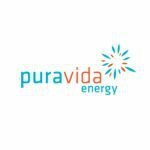 PVD kept 23% of the highly prospective block and do not have to pay a single cent for the first two wells... AND they also get a US $15 million sign on bonus on final government approval of the deal, expected in the coming weeks. News just in – PVD’s generous farm in partner Plains E&P was recently taken over by an even BIGGER oil and mining giant called Freeport-McMoRan (NYSE:FCX), who have valued PVD’s offshore Morocco field at US $4.1 billion, valuing PVD’s 23% share of this field at US $1.8 billion... Not bad for a $60 million company, eh? 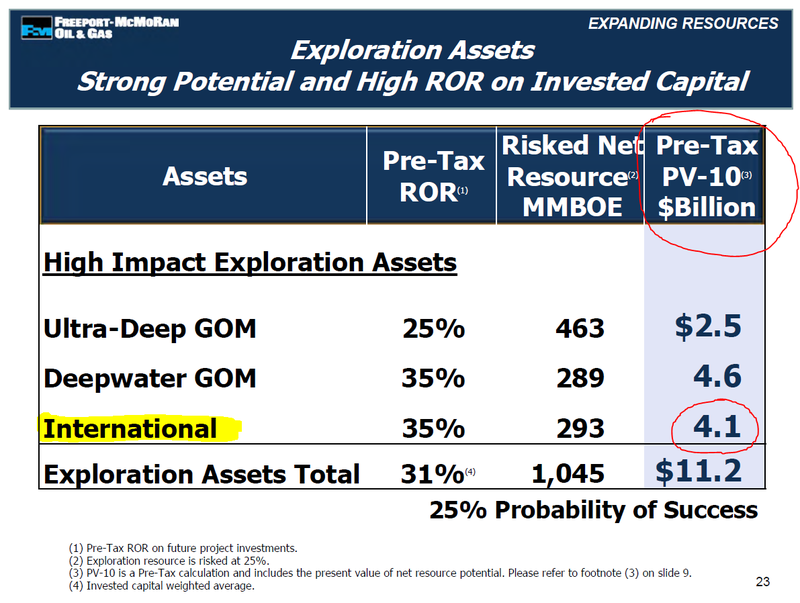 As if Plains E&P’s pockets weren’t already deep enough as a farm in partner for PVD, the US $60 billion Freeport McMoRan pockets are even deeper . Stay tuned for more details on Freeport’s important US $4.1 Billion valuation of its 52% interest in the Mazagan field later in this article – this stunning information was uncovered by The Next Oil Rush team, buried in the depths of publicly available merger and acquisition documents from the Freeport takeover of Plains E&P and we will share it with you today. 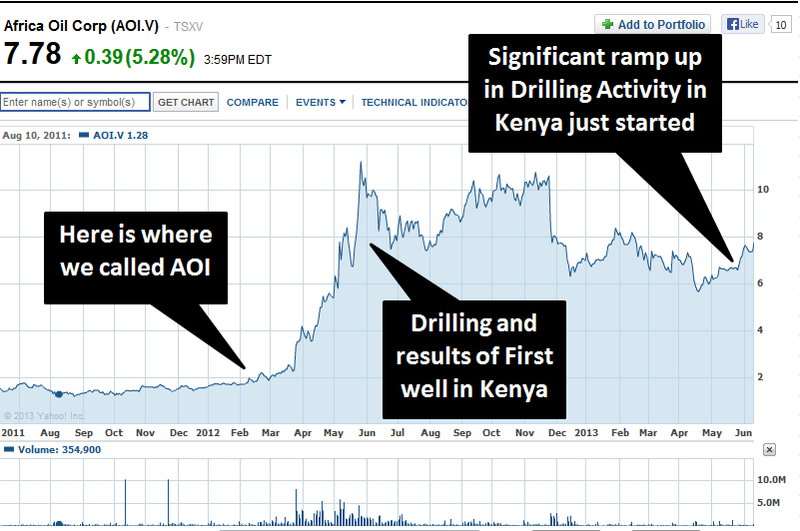 Investors who bought in to PVD early at 20c per share last year are thrilled at PVD’s success over the last 12 months. 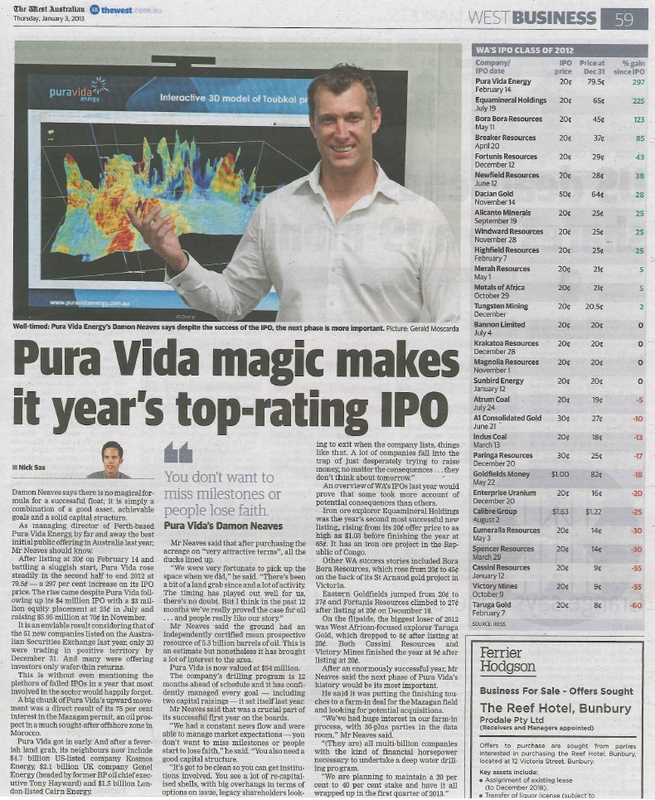 As professional stock analysts proclaimed PVD the best performing IPO for 2012 , shareholders saw the stock price rise 400%. 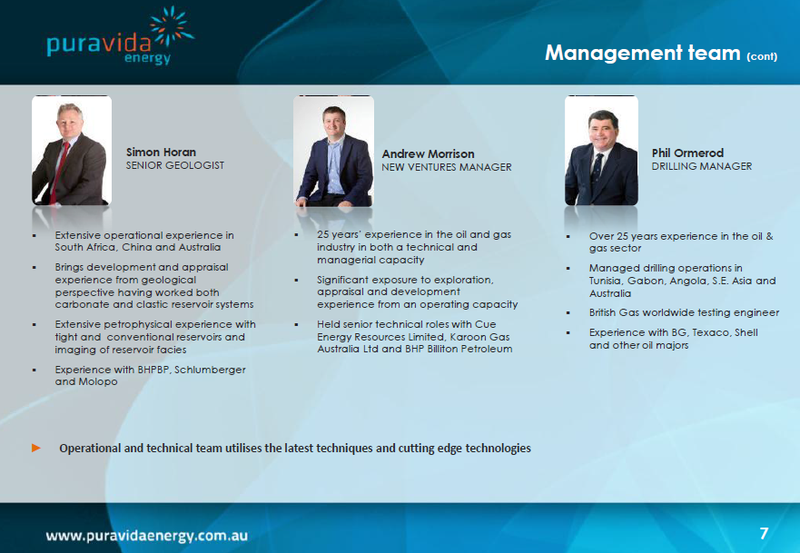 But, due to the recent overall negative market, PVD’s stock price is currently down to much lower levels – which is great news for the team at The Next Oil Rush – we have been taking the opportunity to add PVD to our portfolios as a long term play. However, given what we’ve uncovered about the company we believe these current price levels won’t last long. 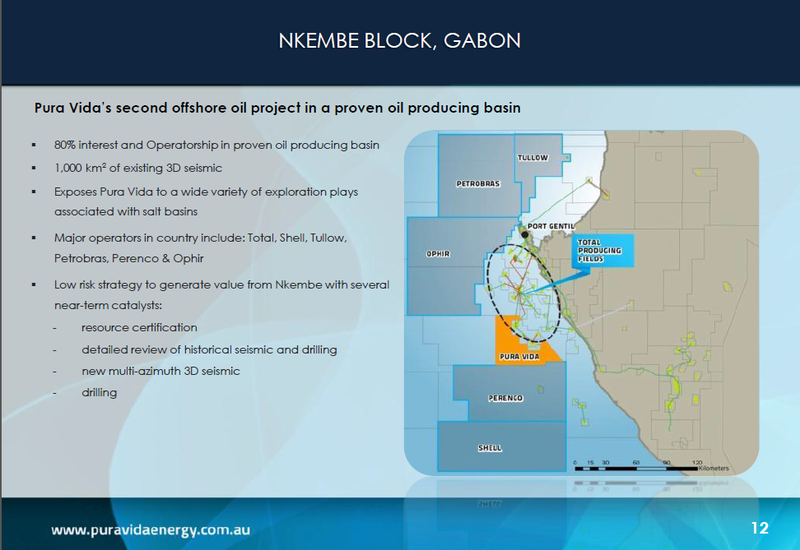 PVD has just announced its acquisition of the Nkembe block offshore Gabon. With this potentially rich field in hand, we can expect more great things from PVD in 2013. PVD is currently on the look out for farm-out partners, with their data room for their newly acquired Gabon Block opening in August for interested JV partners. This breaking news is very significant for PVD as it is the first EVER pre-salt discovery in Gabon. (PVD is drilling pre-salt targets nearby). 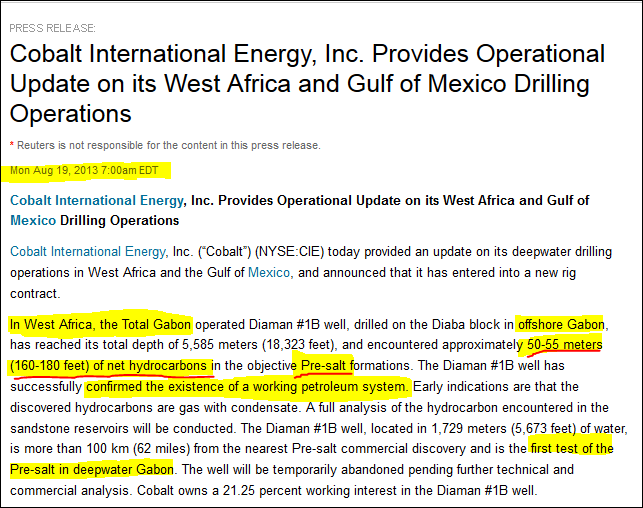 This announcement is saying that they have confirmed a working petroleum system in the pre-salt (it means there is oil!) and hence has significantly de-risked PVDs Gabon assets. ...Looks like the power at the negotiating table has just swung very heavily in PVD’s direction. Asset 1: PVD’s Moroccan Mazagan offshore oil block – worth $1.8 billion to PVD? Asset 2: PVD’s Gabon field – what’s the skinny? An analysis of PVD against some of our 20 Pre-Investment Check List Criteria. 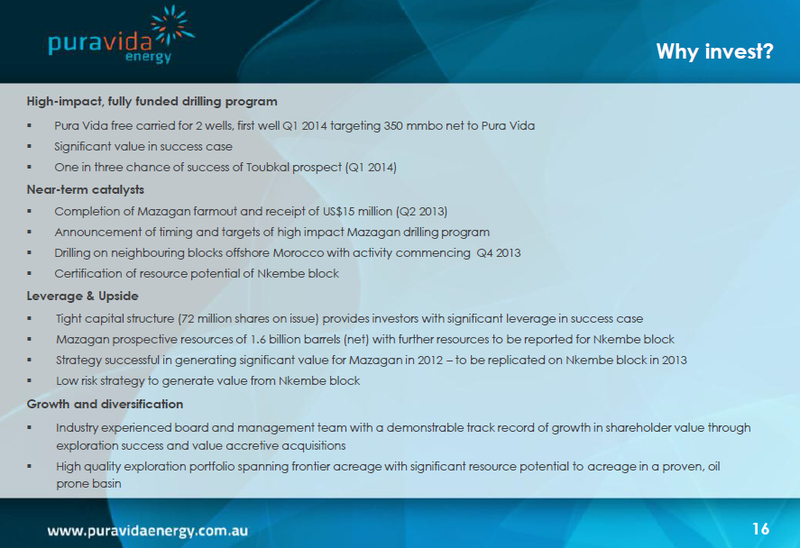 Pura Vida Energy is an ASX-Listed oil explorer building a portfolio of high quality assets in Africa. 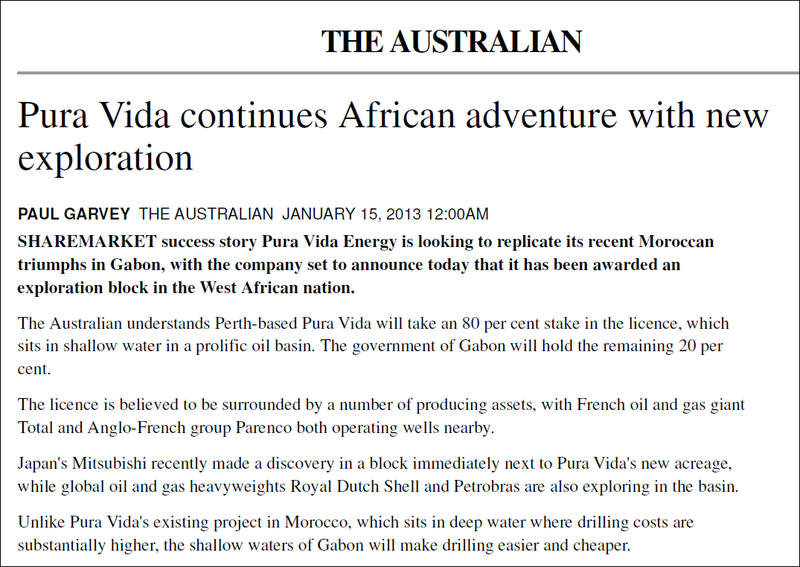 PVD currently has operations offshore Morocco and Gabon with significant resource potential. ...and the great news for us is that PVD stock price has come down since this was published, giving us a great chance to take our position. So why all the fuss about Morocco? 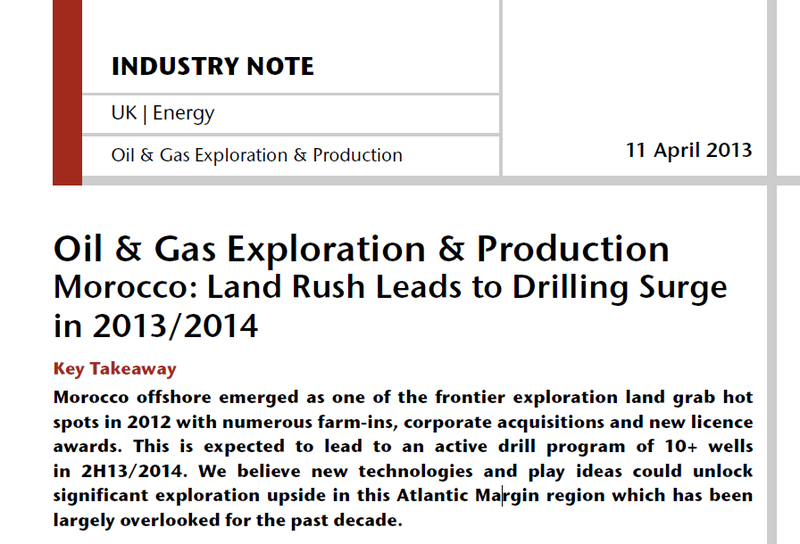 Morocco offshore emerged as one of the frontier exploration land grab hot spots in 2012 with numerous farm-ins, corporate acquisitions and new licence awards. Interesting to note is the efforts by the Moroccan government to revise their oil exploration, investment and taxation laws to attract foreign companies to the country. PVD has certainly taken advantage of this. As mentioned by the reporter...we certainly agree that 7 billion barrels of oil is a “very large amount”! A wide range of mid and large cap companies flocked to Morocco last year, planning an active drill campaign of 10 or more wells in the second half of 2013 and 2014. 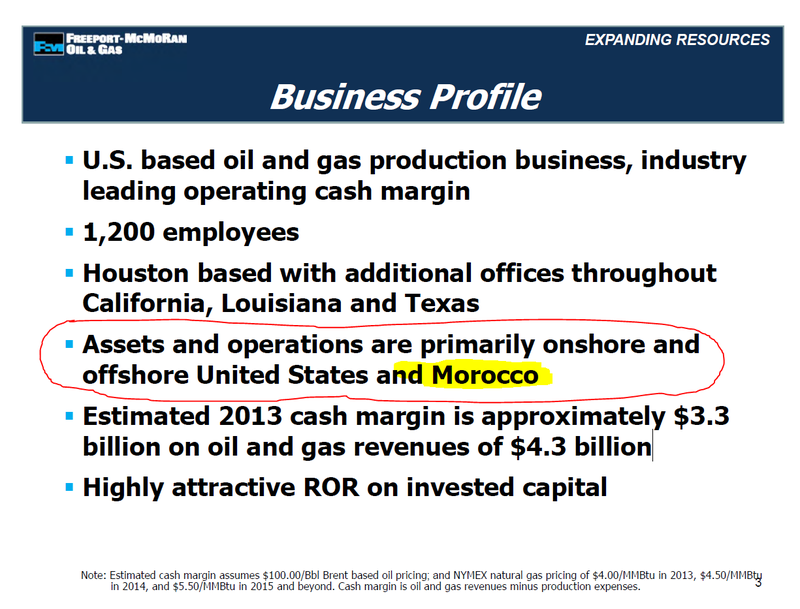 PVD was an early mover in offshore Morocco... Any nearby oil strike there will directly impact them. Other small caps with acreage in offshore Morocco include Chariot, Tangiers, Fastnet, Serica, San Leon and Longreach. However, analysts have zoned in on PVD as THE most attractive . In fact, at The Next Oil Rush , we can confidently say we’ve never seen such a wide gap between a company’s potential and its current market capitalisation. PVD’s technical team has extensive experience in the Gulf of Mexico, which is likely why they are now pursuing opportunities in Morocco and Gabon. The Toubkal prospect is the first to be drilled in PVD’s Mazagan field and is an analogue of the billion barrel Jubilee field in Ghana – the largest oil discovery made in West Africa in the past decade. 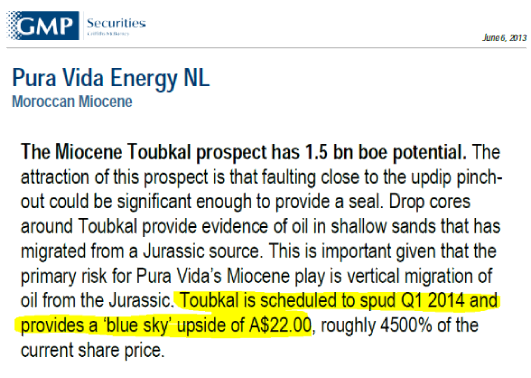 The Toubkal Prospect is scheduled to be drilled in Q1 2014 and it certainly has analysts excited – with valuations of over $20 per share for PVD being thrown around. We are taking this opportunity while PVD stock is trading relatively low and before the market twigs to this incredible opportunity. PVD Morocco: Farm-out Deal of the Decade? We have already talked about the farm-out that PVD secured on their Moroccan Mazagan block to get free carried on $215 million worth of offshore drilling AND a US $15 million upfront payment on government sign off. 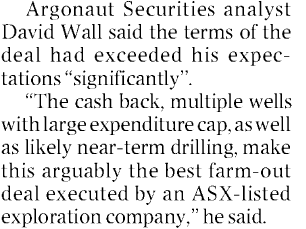 Basically what this means is that in return for 52% of the block, Plains E&P agreed to fund the two offshore wells and do all the work, and PVD just sits back and watches, waiting for the $20 plus per share kick in the share price predicted by analysts on a successful well. In May 2013, PVD’s partner on the Moroccan Mazagan field, Plains E&P was gobbled up by $60 billion resource giant Freeport-McMoRan (NYSE:FCX). The Next Oil Rush discovered that Freeport-McMoRan values their 52% interest in the Morocco Mazagan field at US $4.1 billion , hence PVD’s 23% share at US $1.8 billion – incredible news for current and prospective investors alike. Freeport has stated that their only INTERNATIONAL offshore oil license is in Morocco (the same one they acquired form the Plains E&P takeover... the same one on which they are “free carrying” PVD). 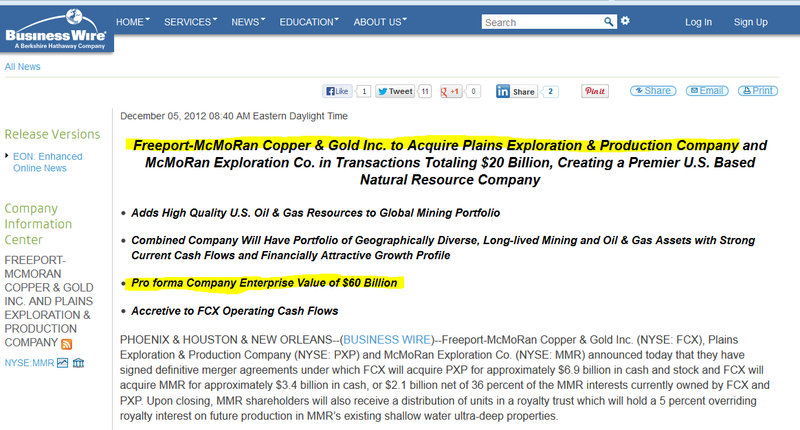 According to Freeport McRoRan its 52% interest in the Mazagan field in Morocco is worth $US 4.1 billion! This makes PVD’s 23% share worth $US 1.8 Billion! This is staggering for a $60 million dollar company like PVD – just remember you heard about them first here at The Next Oil Rush. 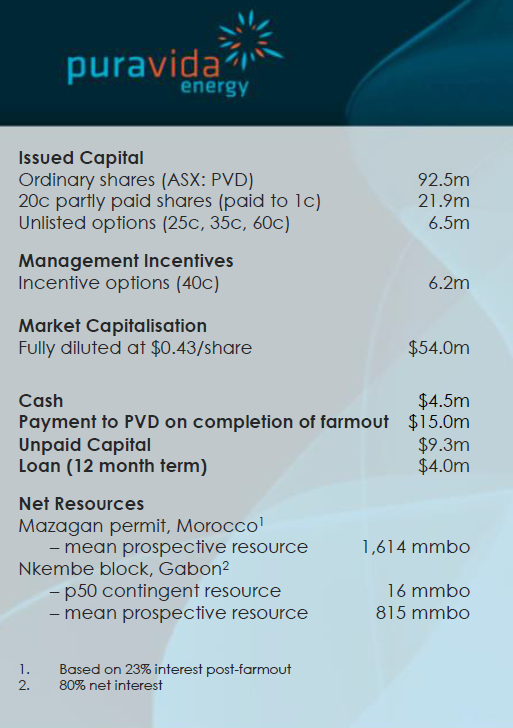 PVD Asset 2: Newly acquired Gabon field – Can PVD repeat its Moroccan farm-out success? The more mature, prolific shallow water basin peppered with proven fields and a number of nearby discoveries by some of the biggest companies in the world looks very good indeed. Total Energy has 100,000 barrels of oil pumping out every day from nearby wells, which bodes well for this new acquisition. The great thing about PVD’s new Gabon field is that operational costs are lower than the Mazagan field, with the shallower waters (50-500m deep compared to 2 km in Morocco) and closer proximity to infrastructure. PVD has an 80% equity position with the Gabon government holding the rest. The block is conjugate geologically to Brazil, where several billion barrels have been discovered in recent years. Shell operates the giant Rabi-Kounga oil field onshore Gabon with reserves of over 800 million barrels. Recent discoveries in the area by Harvest (NYSE:HNR) and Mitsubishi suggest great oil reservoirs in the area. PVD has existing wells along the block where oil has been discovered. The block is also close to already producing fields and existing infrastructure, with major operators including Total, Shell, Tullow, Petrobras, Perenco and Ophir. The next step for PVD is to establish a farm-out deal on the 1210sqkm Gabon block, in a replication of their already successful Moroccan strategy. PVD plans to open the data room in August to start the farm-out process of its Nkembe block, and the recent discovery nearby should certainly stoke significant interest and place PVD in an excellent position at the negotiation table. All the key ingredients are in place for significant value to be added over the next 12 months as the asset is de-risked through the acquisition and processing of 3D seismic, delineation of resources, prospects and leads at the pre salt layer a farm-out being concluded and ultimately the drilling of a well. PVD has achieved all its stated milestones for 2012 and we expect this strong delivery will continue in 2013 and 2014. PVD’s early entry strategy has generated significant revenue. The Next Oil Rush Pre-Investment Checklist Criteria was created by a team of contributors that has been successfully investing and trading speculative stocks for many years. The check list outlines key aspects to research and understand prior to making an investment in a speculative stock. Business Plan: What is the company’s business plan? One of PVD’s core objectives is to build a diversified portfolio of oil and gas assets over time. The acquisition of the Nkembe block in Gabon is an important step in the execution of that strategy which balances the portfolio by adding near-term, low risk appraisal drilling plus exploration upside. The Company is continuously reviewing opportunities throughout the African region which are complementary to its existing assets and consistent with growth and capital management strategy. 2. Cash: Does the company have cash in the bank? What is the rate of cash burn? Does the company have debt? PVD recently raised $12m ($8m equity and $4m debt) and reduced its debt position from $6m to $4m. PVD is also expecting a US $15 million sign on payment when their Moroccan farm-out is approved. This will be more like AUD $16.5 million of the AUD keeps plunging against the greenback! 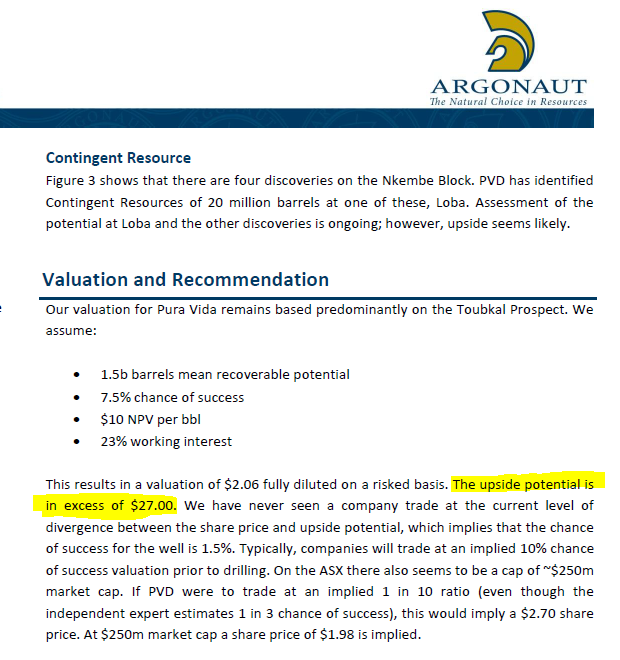 PVD also recently announced that core inspections it performed on previously drilled samples from their new Gabon block has confirmed the presence of a significant oil column – PVD now plan to appraise and potentially develop this smaller field for near term production and cash flow . This is a solid cash flow strategy we feel very comfortable with. 3. Management: What is the track record of management? Does management own stock in the company? PVD’s management team is, quite frankly, impressive. It includes extensive commercial technical and A & D expertise with a track record of exploration success and value accretive acquisitions. And yes... the management own stock in the company... in fact they own a lot of stock! According to the GMP securities note, Board and Management own a whopping 34% of PVD. You can bet they will be taking their jobs very seriously as it is their money on the line too! 4. Backers: Are there any high profile investors or backers? PVD’s farm-out to PXP earlier this year was completed at the most attractive terms to date. The US $230 million farm-out of the Mazagan permit means PVD is now fully funded in its deep water drilling campaign offshore Morocco, which begins in Q1 next year with the Toubkal-1 well targeting 1.5 billion barrels (mean). While other small players were able to achieve a one-well carry with a cap, PVD will be carried free for two wells, allowing the company to drill the 1.5 billion barrel Toubkal prospect, and test a second play type should this well be unsuccessful. The PXP farm-out also means PVD can diversify its resource portfolio with low risk, near-term appraisal drilling to commercialise the 20 million barrel Loba Oil Field in the Nkembe block scheduled to start in 2014. PLUS FCX’s recent takeover of PXP means PVD now has an EVEN BIGGER backer – one that has valued PVD’s 23% of the Mazagan licence at US $1.8 billion. 5. Price Catalysts: Are there upcoming catalysts? Market wake up to FCX’s $1.8 billion valuation of PVD’s 23% of the Morocco field. Extensive regional drilling programs are about to commence in Morocco and Gabon. The second half of 2013 will see a renaissance period emerging in the Moroccan oil industry with the first of up to 10 offshore wells drilled. We expect over the coming months to get further visibility of the schedule for the drill ship being used. Any success by operators adjacent to PVD will serve as a major catalyst for the company. 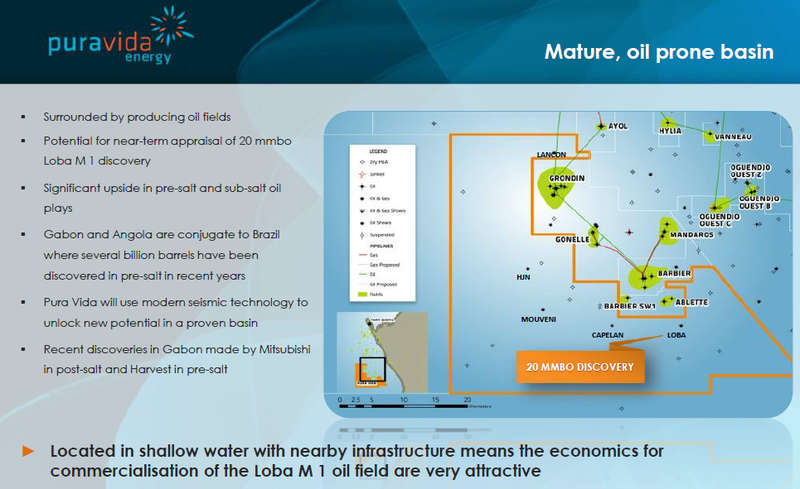 Five wells with multibillion barrel potential are also scheduled for Gabon in late 2013 and, again, any success by regional operators will have positive implications for PVD. PVD’s track record over the last 12 months has been remarkable, with a 400% ROI for early investors contributing to analysts proclaiming the company the best performing IPO in 2012. But because PVD’s share price has been taking a beating lately, we’ve been taking the opportunity to buy ahead of what The Next Oil Rush team predicts will be a market recognition of this junior oil company’s incredible prospects. The core of PVD’s success is its early move on the highly prospective Magazan block offshore Morocco, Africa’s next big frontier for oil. 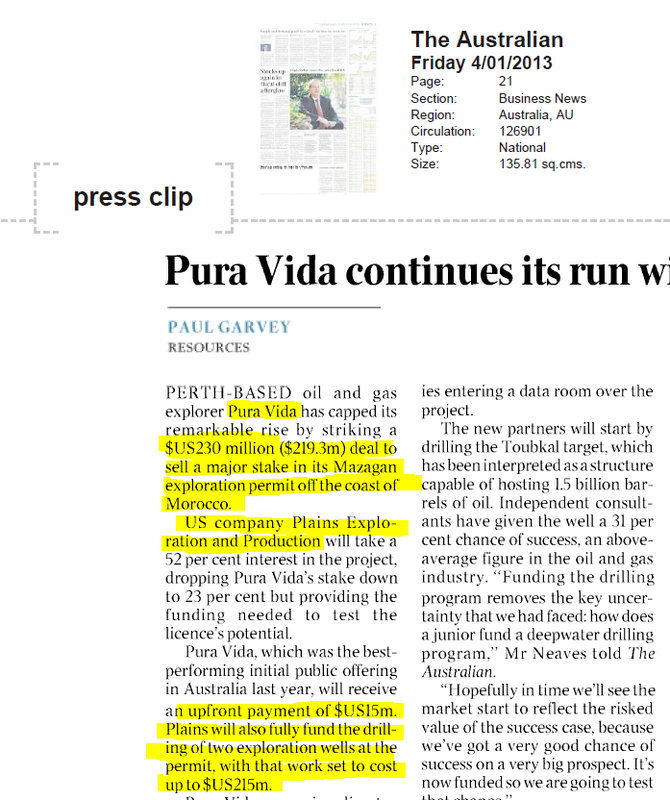 The Mazagan block’s main attraction for investors is strengthened by the number of other small, medium and large caps engaging in high impact drilling in the area – and of these, analysts agree PVD presents the stand out opportunity by far. PVD’s potential was undoubtedly also bolstered by PXP’s US$215 million farm-in for a 52% share + $15 million up-front payment on the soon-to-be-complete government sign off. Now FCX’s takeover of PXP and its subsequent valuation of PVD’s Morocco field license at US $1.8 billion can only increase market interest in the company. PVD has also proved its smarts by raising a further $12 million capital in a very tough market. In addition, a significant number of catalysts over the next 12-24 months are combining to make 2013 a landmark year for the company, so we expect our investment in PVD to continue to rise..
Market wake up to FCX’S $1.8 billion evaluation of the Morocco field. Most exciting is PVD’s continued diversification of its resources portfolio into the proven mature oil fields at Gabon, with the recent acquisition of the Nkembe block. The company’s experienced management team has clearly identified both blocks as featuring geological similarities to the already productive Brazilian acreage, and has the technical expertise to exploit the full potential of this opportunity. At The Next Oil Rush , we fully expect PVD to repeat its stunning Morocco farm-out record in Nkembe when it opens its data room in August – remember, it was the Morocco farm-out that originally raised the stock price up a MASSIVE 400%! We’re buying PVD while the share price is still relatively low and before the market cottons on to the company’s extraordinary convergence of recent positive announcements and drilling activity heats up in Morocco and Gabon over the next few months.